Roll the dice to see what toppings you should add to your Pizza! The meat, cheese, veggies, sauce, herbs and extras all work together. 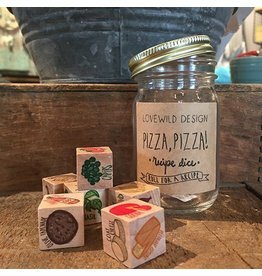 Pizza dice contain 6 wooden pieces in a glass jar.